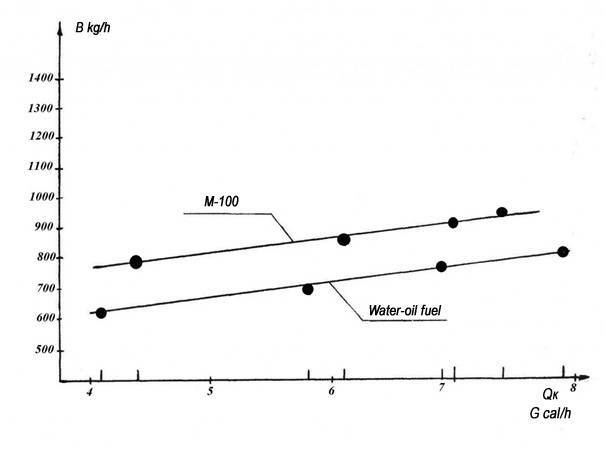 to determine the quantity of hydrocarbons, sulfur and nitrogen oxides emissions for each tested fuel type during operation at different loads. 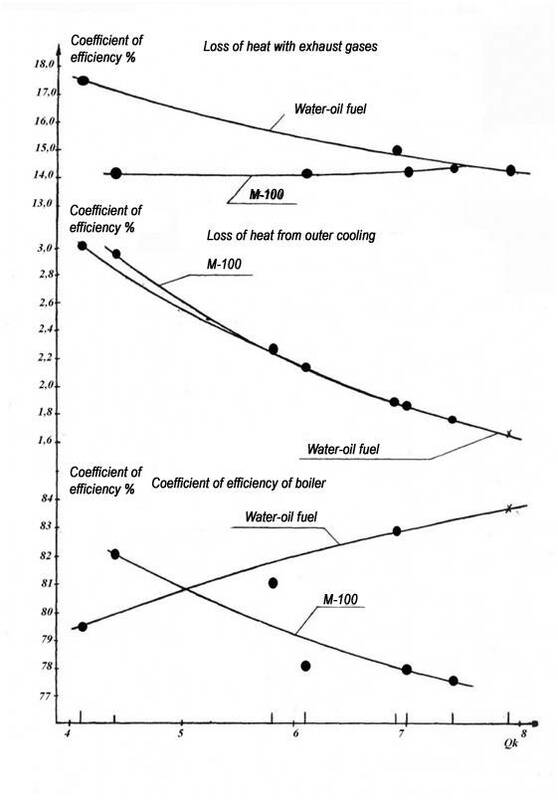 The corresponding experiments were carried out for DE 16-14 GM boiler unit. Fig. 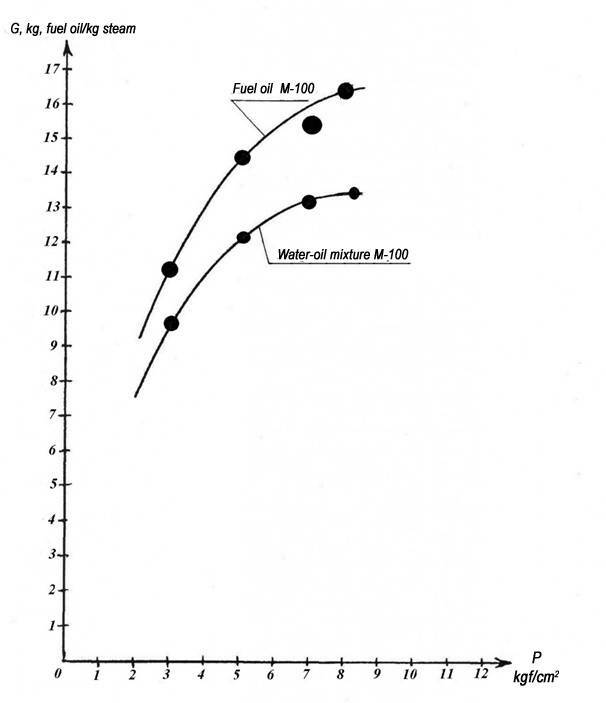 1 shows a diagram of measurement points for DE 16-14 GM boiler when using fuel oil. Fig. 1. 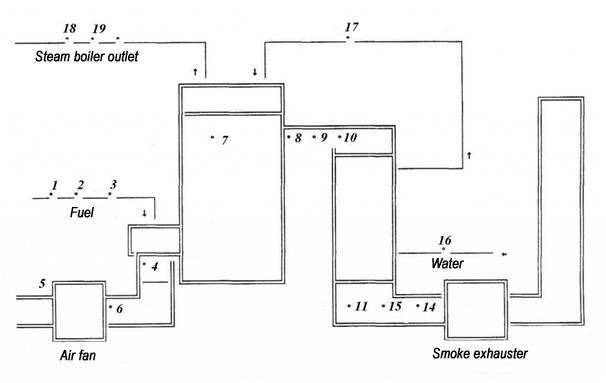 DE 16-14 GM boiler measurement points diagram: 1 – fuel pressure in the pipeline, 2 – fuel pressure on the burner, 3 – fuel temperature, 4 – air pressure on the burner 5 – cold air temperature, 6 – air pressure downstream of the fan 7 – combustion chamber rarefaction, 8 – rarefaction downstream of the boiler 9 – flue-gas temperature downstream of the boiler, 10 – flue-gas analysis downstream of the boiler, 11 – rarefaction downstream of the economizer, 14 – outgoing gas temperature, 15 – outgoing gas analysis, 16 – water temperature upstream of the economizer, 17 – water temperature downstream of the economizer, 18 – boiler outlet steam pressure 19 – boiler outlet steam flow The characteristics obtained as a result of the experiments are presented in the figures below. 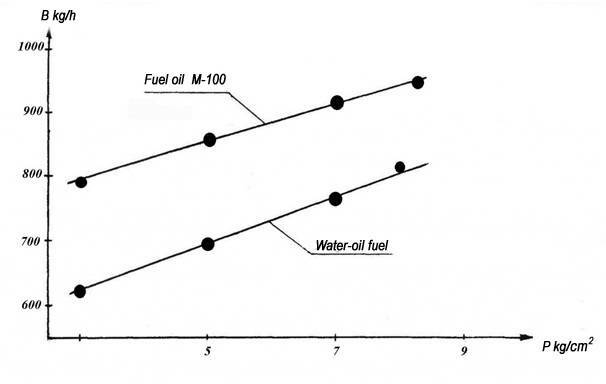 use fuel oil of lower quality in order to generate heat. USB hydrostabilized fuel oil preparation plants are successfully used by the representatives of heating and power complex – boiler houses, central heating stations, etc.